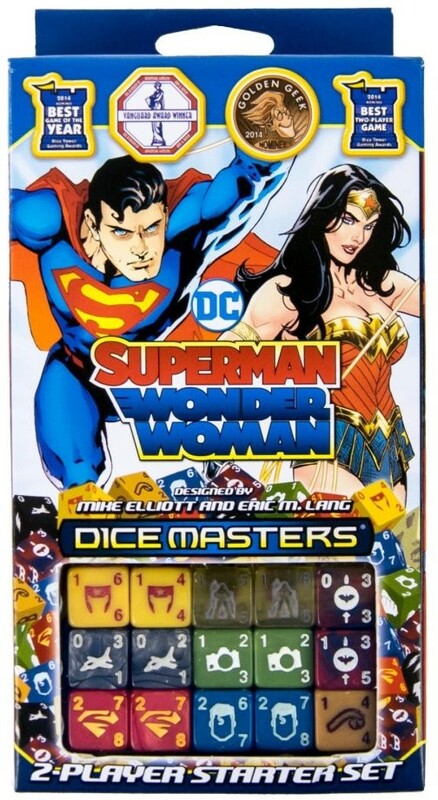 WizKids will release a new DC Comics Dice Masters Starter Set featuring Superman and Wonder Woman! The Superman and Wonder Woman Starter Set is the first in a series of annual starter sets. This set will feature Superman and Wonder Woman along with other Kryptonians and Amazons, with new spins on 8 DC heroes (and their dice).